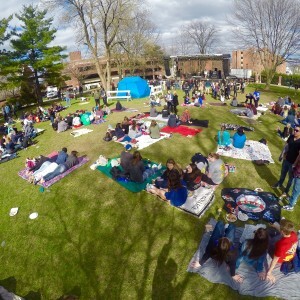 You can make the Saint Rose community even better — especially by taking an energetic role in the Student Association. As the student government on campus, “SA” expresses the voice of the student body to the faculty, administration, and trustees of Saint Rose. In that way, Association members help set policy on key campus issues and enhance the College’s future. SA also oversees more than 30 clubs and organizations at Saint Rose. Our general business meetings give every student the chance to share ideas and raise concerns. Meetings are every Wednesday at 6pm in Standish A&B (Events and Athletics Center). SA general business meetings are open to the campus community, anyone is welcome! Have your voice heard by attending a meeting. The State of the Student Association is an annual report by each SA Officer detailing the board’s efforts throughout the year, updates on clubs, event recaps ad more. View the State of the SA 2017 – 2018. Meet for haddock sliders and vegetarian nachos? 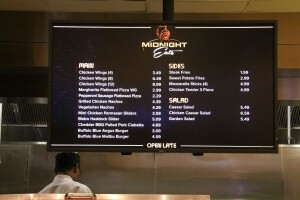 When the campus dining services wanted to add a late-night spot to grab a bite to eat, Saint Rose students weighed in, selecting the menu and even the name.